and used my new docrafts alphabet dies for the letters of her name. A craftwork cards sentiment was the finishing touch, on the dovecrafts background paper. The punched butterfly is from Martha Stewart. LOVE love love the image! Super adorable! Thanks for joining us this week at Love to Create! 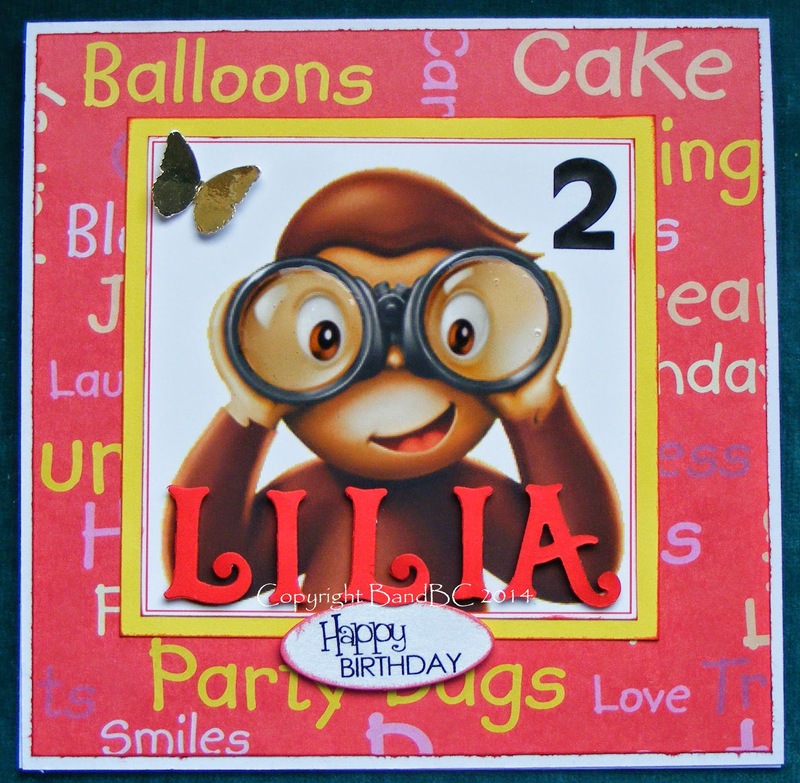 Fab card love the image thanks for joining us at Incy Wincy this week. Awesome card! Love me some Curious George! Thank you for joining our "Anything Goes" Challenge at Love to Create this week. OH my simply adorable!! Thanks for sharing with us here at Love to Create Challenges!! This is so cute! I love Curious George...adorable card!! THANKS for joining us at Love to Create Challenge! This is so cute card! Thank you very much for joining us at The Crazy Challenge and good luck! Hi, your card made me smile when I saw George again as I use to love watching him when my boy was at the age of liking him and we had to get the Curious George DVD's to watch over and over again! lol I love your card, it is so bright and cheerful. Thank you for joining us at Ditzie Digi Designs. oh, what a great card!